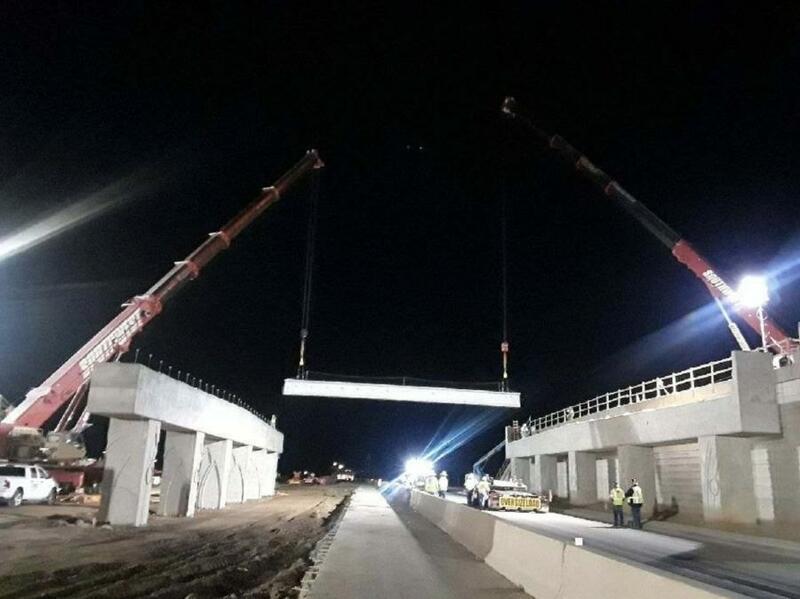 Nearly two years after the first girder was set on Loop 202 South Mountain Freeway, the last support beam has been installed for the Dobbins Road interchange, marking the final girder placed on the Salt River segment of the freeway in the Laveen area. 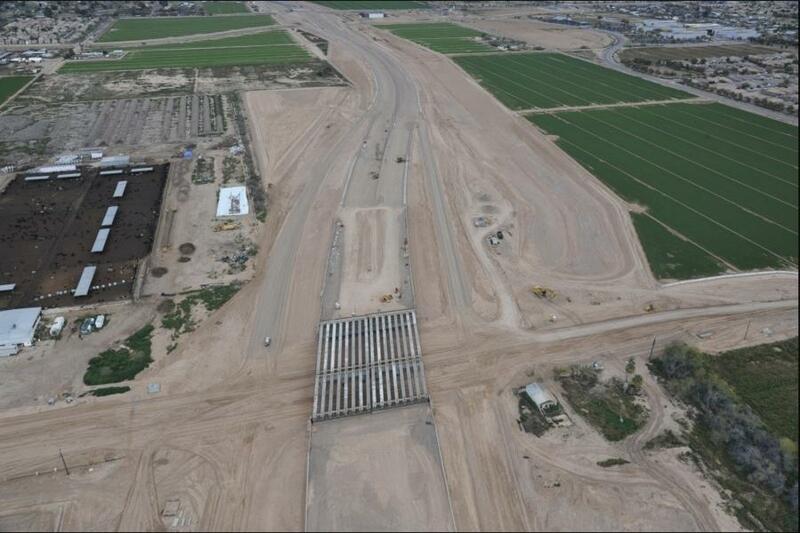 A total of 459 steel-reinforced concrete girders, which serve as the main horizontal support for any bridge structure, have been placed throughout the Salt River segment of the South Mountain Freeway, running from Lower Buckeye Road and extending south to 51st Avenue. 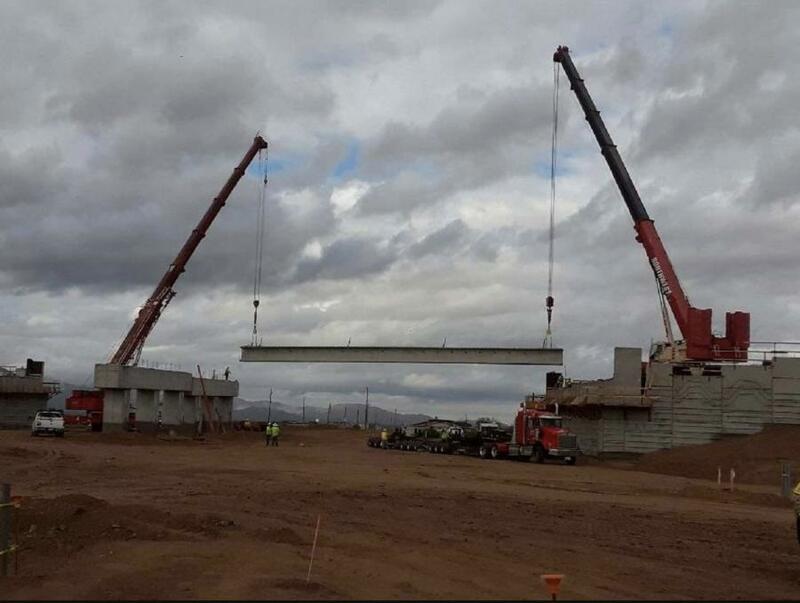 In February, construction crews with Connect 202 Partners, the developer of the South Mountain Freeway, set the remaining 32 girders for the Dobbins Road interchange, one of 15 interchanges on the project. Last month, they placed 30 girders for the Baseline Road interchange. Approximately 1,000 girders are needed for the entire 22-mi. freeway corridor, which also includes the I-10 Papago, Center and Pecos segments. The first girders on the South Mountain Freeway project were installed in July 2017. The girders have ranged from 48 ft. long and weighing 46,000 lbs. at the 51st Avenue crossing to some of the massive Salt River bridge girders that measured 174 ft. long and 170,000 lbs. each — the largest of their kind used for an ADOT project. Two-hundred and ninety-two girders were needed to build the two half-mile-long bridges over the Salt River. These bridges will provide a much-needed local crossing to and from Laveen, especially when the river flows, while also reducing congestion at current crossings. The city of Phoenix's 51st Avenue bridge is currently the lone all-weather Salt River crossing between 35th Avenue and Avondale Boulevard. The 22-mi. South Mountain Freeway is scheduled for full completion in 2020, although traffic is expected to be using the freeway earlier. It will provide a long-planned direct link between the East Valley and West Valley and a much-needed alternative to I-10 through downtown Phoenix. Approved by Maricopa County voters in 1985 and again in 2004 as part of a comprehensive regional transportation plan, the South Mountain Freeway will complete the Loop 202 and Loop 101 freeway system in the Valley.